Whether it is Famous Western Scholar Machiavelli or Guru of Hindus Kautilya Chanakiya both are of the view that in order to prove your false statement as true tell so much lie that people are convinced to accept it as truth. If it is inevitable to tell the truth that tell the half-truth in such a twisted way that it becomes unacceptable to people. This rule and technique of propaganda is now the most powerful weapons in the hands of the imperialist forces of this era. This weapon is successfully being used by USA in the name of war on terror against Muslims. The effects of this weapon are now clearly felt in Pakistan. Here in Pakistan also in order to safeguard damn American satanic interests such a fog was spread in the name of AMAN KI ASHA and over the internal situation of law and order that the facts were hidden and buried in this fog of propaganda. Here the target of propaganda are Pakistan army and secret agencies of Pakistan who are not ready to give up in front of America and be used for damn American interests in Afghanistan and against old and time tested friend china. In order to defame Pakistan army no stone has been left unturned. But the most painful aspect that compared to foreign propaganda our own TV channels, Anchorpersons and self-proclaimed scholars, and pro-Indian journalists working for RAW and CIA have openly blamed army for those allegations which they never succeeded to prove but over the anti-human and war crimes of Indian state terrorists they are dumb and deaf. They claim that state terrorism of Israel Palestine is not a human tragedy but internal problem of Israel. These representatives of RAW supported Aman Ki Asha started a campaign against army to defame and harm its credibility and in spite of democracy in the country these so-called journalists blamed army for lawlessness and Missing persons in Baluchistan in order to hide the activities of Indian armed interference in Baluchistan. 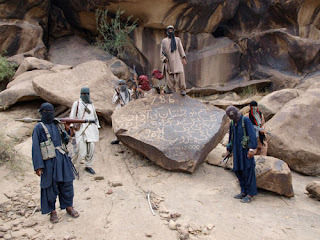 The purpose is just to befool world about the militant activities of anti-Pakistan activities in Baluchistan. In spite of the disclosure by an MPA of Baluchistan assembly that more than a dozen of Provincial Ministers are involved in the kidnaping and abduction for ransom, the blames over army went on. 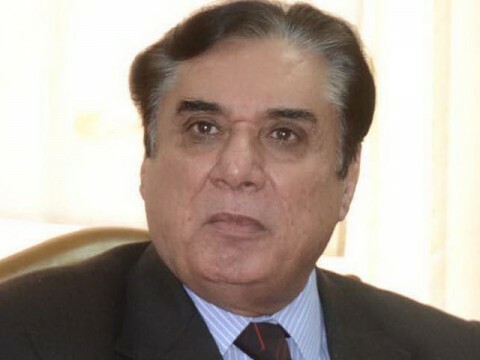 Reacting over this situation Supreme Court established a fact finding commission headed by Justice Javed Iqbal (Retd.) to bring forward the facts. On the other hand the investigations over the notorious Memo Gate Scandal were also going on. Pakistani ambassador to USA is accused of lobbying in USA against Pakistan army and alleged for a memo written to US Army Chief against Pakistan army. Now this is a coincidence that in the same week the reports of both commissions were submitted on 10 June and 13 June respectively. However acting upon the guidelines of Machielveli and Chanakiya our anchorpersons and journalists avoided any comments/analyses. However according to a cartoon of Daily Nawa-i-Waqt the only (self-proclaimed) intellectual of Pakistan Asma Jahangir rejected these reports disclosing involvement of foreign agencies. Whether it is the report of Judicial commission over Memo Gate Scandal or the report of judicial commission over militancy in Baluchistan it is totally different from the situation presented by our media and its anchorpersons in last two n half years. Especially the analyses of our free media, pro-Indian intellectuals and anchorpersons, their dramatic talk-shows following the foreign propaganda plan, the decisions and results derived from the talk of these late night shows and their speakers who every night passed a verdict that only and only Pakistan army is responsible for kidnappings, abduction, missing persons and target killing, bomb blasts and all kinds of terrorism, but the report of judicial commission is totally against all these blames, allegations and propaganda of these foreign funded elements within our society. If we look at the ratio of suicide bomb blasts and terrorist attacks in KPK it is much more worse as compared to Baluchistan. Than why media including our own media did not launch a propaganda of separation about KPK? Just because there is no sea-port or interference in Iran is not possible from KPK? 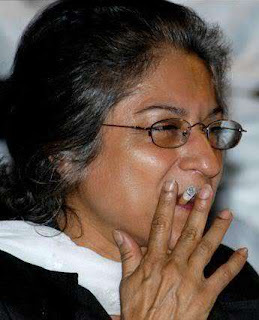 Such a thing has been presented by Asma Jahangir as well but in a different way. Most astonishing fact is that including Asma Jahangir, all so-called intellectuals, representatives of foreign funded NGO’s and self-proclaimed analysts in talk-shows has only solution for the situation of Baluchistan i.e. withdrawal of army and FC and leaving the poor and powerless public of Baluchistan back into the clutches of Baloch feudal lords. These feudal lords who had been paid trillions every year for development in their areas but they filled up their coffers and to form private armies through the support of US and India. Now these feudal lords are busy in dispersing funds from India and USA for enchanting slogans against Pakistan. So in fact these so-called, self-proclaimed enlightened and moderate intellectuals want that free hand should be given for the foreign interferers in Baluchistan for damn anti-Pakistan plans and conspiracies against integrity of Pakistan. Last night on facebook during discussion with an American journalist over the report of Justice Javed Iqbal. He was of the view that the province should be given in the control of so-called Baloch representatives and army should be withdrawn. When asked him that USA after spreading the net of her bases has converted them into mini US cantonments, so what is the justification for all this? American journalist’s reply was the presence of American forces over these points or areas out of America is needed to protect American interests and safety of Americans (actually only American dictators and Zionist investors). Over his reply I requested to him that if it is inevitable to maintain its forces ten thousand miles away from her boundaries just to protect her so called interests (imperialist expansionist plans) than why Pakistan has no right to maintain presence of army within its own province to ensure peace and law & order? If the wish of people is the standard than many Japanese have sacrificed their lives to in protests against presence of American forces from their country. The same like situation prevails in many Islamic countries where the voice of the public against presence of US imperialist forces is suppressed by American imposed local governments disguised as democracy, and the public is even denied the democratic right to protest against presence of American forces in their own mother lands. The most close ex-friend of American govt. Osama has also turned against Kingdom of Saudi Arabia and started revolution against US just because the presence of American forces in KSA. Lets come back to our today’s topic of reports of judicial commission on Baluchistan and Memo Gate Scandal. The report over memo gate scandal says that Hussein Haqqani is not loyal to Pakistan, the memo is based upon reality through which Hussein Haqqani wanted to be the Head of new Security Team over turning the present security leadership through American support. 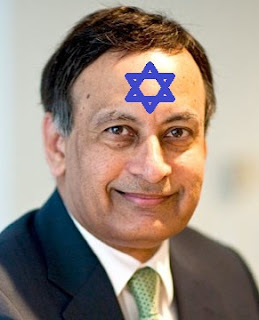 Hussein Haqqani has no property in Pakistan as he has decided to live in America. He was appointed ambassador to US for 2 million dollars annually. The 9 member bench of Supreme Court including Chief Justice Of Pakistan Justice Iftikhar Muhammad Chaudhry has made more than 300 proofs part of the case and postponed the hearing for next two weeks, but after publishing of this report the claims and stance of General Pasha have been proved to be more than hundred percent true. The report about Baluchistan shall be discussed in next episode.